NWAA Qualifier this Sunday. Open to all drivers. 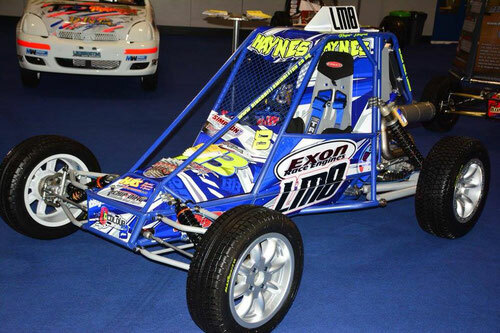 We are a family friendly motor club and the only Autograss club in the Manchester area. If you are interested in joining us as a racer or a social member come along to our monthly meeting(very informal) at the White Lion in Heywood (OL10 4NS). These are normally held on the first Monday of the month. Our first meeting of the season got underway in glorious sunshine on a track in tip top condition.New cars new drivers same reliable fast action packed racing.It was round one of 4 qualifiers for the national championship to be run as usual in August.With 150 drivers registered to race on the day it was busy. Leewood drivers recorded some wins bagging lots of points namely Jack Gibbons, Dave Mansfield, Marc Shepherd Zoe Leyland and Vinny Gibbons. This year all our meetings are open to any driver and we had visitors from Scotland , nottingham yorkshire and Shropshire etc. It was a fantastic days racing enjoyed by everyone, roll on May 5th for round 3.In between on the 28th of April round 2 is on the North Wales track 10.30 start. Leewood Autograss club are actively seeking advertisers or sponsorship for the 2019 season. If you would like to advertise in one of our programmes or sponsor one of our race meetings please get in touch to discuss the options available.